Once again, Stelpro is recognized for the design excellence of its products, this time in the latest edition of the Good Design Awards. The Maestro smart thermostat range was recognized in the electronics category, while Orléans and Oasis fan heaters were recognized in the household category. The Good Design competition is the most prestigious and recognized nationwide design competition in the world. It is organized annually by The Chicago Athenaeum Museum of Architecture and Design, in collaboration with the European Centre for Architecture, Art, Design and Urban Studies. The awards recognize excellence in all facets of design, from aesthetics to materials, technology and user interface. 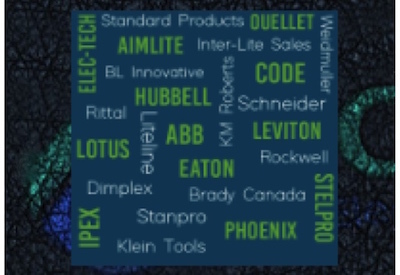 Stelpro products were selected from a record number of submissions from 47 countries. Stelpro’s Maestro smart thermostats are the most complete and advanced solution for electric heating management. They offer total comfort control thanks to their various features, including activity-based management and grouping rooms into zones. Geofencing, which automatically lowers the temperature when occupants are away, colour codes that provide useful feedback and consumption reports can generate up to 25% in energy savings. The Maestro application lets users manage their home’s heating anytime, anyplace, in a simple and intuitive way. The ecosystem also includes the Orléans family of convectors and fan heaters, which connect directly to Maestro through an integrated thermostat. Stelpro’s Orléans and Oasis fan heaters also garnered awards at the 11th edition of the Grands Prix du Design and have redefined industry standards with their distinctive design that features clean and fluid lines. Thermodynamic analysis led to the development of an innovative architecture that ensures optimal comfort is achieved and maintained, as well as a silent and efficient operating mode.